No one wants to discover at the end of a sales process that the prospect isn’t planning to buy. So how can you improve the odds that your prospect follows through? What closing strategies will improve your odds? 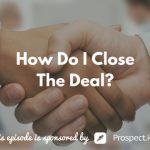 On today’s episode of The Sales Evangelist, David Cook, author of How to Be a Great Salesperson… By Monday Morning!, discusses closing strategies that any seller can use in any industry to close more deals. When we do our jobs properly, our prospects can’t help but buy our products and services. Even though we’re all constantly using computers, sellers have to humanize the process. When people call your organization with questions, they want to talk to someone who is more than a robot with a heartbeat. David begins with a cough. It sounds strange, but he explains to his prospects that he picked up a cough while he was walking his dog over the weekend. Now your prospect knows you have a dog, and if he has a dog, there’s common ground. The prospect is no longer talking to a robot. People are dying for the human touch. They crave it, so give it to them. Make sure to say your customer’s name over and over. Every time you do, you’re breaking down barriers. If you’re making a really strong point, make sure to use the prospect’s name. Also, urgency separates the stars from the superstars. If you don’t create a need for the prospect to act now, why would they? The first moment they hear about your product is the hottest they’ll ever be. They’ll get involved in other projects as time goes by, and they’ll cool to your product. But how do you create urgency without being pushy? Talk about the company as an outside entity. “They’re allowing me to offer you x if you act by this date.” It isn’t you making the rules; the company is making the rules. Position yourself as an advocate for your prospect. You must expect the sale. You must stay positive. In the example of real estate, when you’re showing a home to a prospect, refer to it as their living room, their swimming pool, and their kitchen. The more times you refer to it as theirs, the more likely the customer will subconsciously start to think of the house as theirs. If you build a burning desire within your customer to acquire your products and services, there’s no dollar amount in the world that’s too much. Within a first few seconds of talking to you, they’ll decide whether or not they are going to buy from you. Get them laughing immediately. If you make them laugh, they are on your side because their brains release endorphins that make them feel good. Happy people buy and unhappy people do not. You have to believe in your heart that your customer is lucky to be talking to you. You must believe in your product. If you don’t think they’re lucky to be talking to you about your product or service that will make their lives easier or help them impress their bosses, then why should they believe they are lucky to be talking to you? Your customer will pick up on it if you don’t absolutely believe in your product. 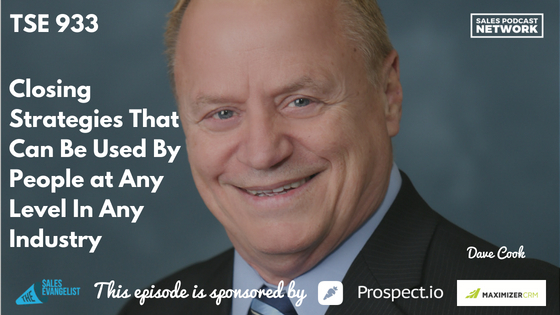 Believe that you have a moral obligation to share good things with your prospects. 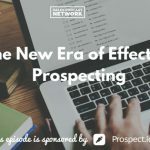 You can connect with David at his website, salestrainingonthego.com. You can also grab a copy of his book, How to Be a Great Salesperson… By Monday Morning!